Consulting, concept analysis, technical design, sourcing, and market research. Based on inspiration garments and/or sketches of your design, we will create a pattern to construct an initial prototype. 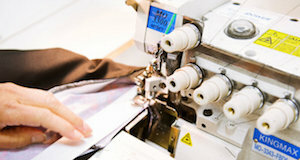 Sample garments are cut and sewn in our studio to test the pattern and bring the concept to life. Once designs are finalized, we help you prep for production. Fit new sample, with possible revisions. Produce sales samples and finalize pattern for production.